When Adam Legge became president of the Calgary Chamber of Commerce in September 2010, the city’s economy was about to shift into overdrive and the organization was on the cusp of change. Crude oil was bubbling along at US$77 a barrel and the economy was expanding at a clip of almost five per cent before gearing up to seven per cent growth the following year. Big challenges for local businesses included cost inflation, finding affordable lease space and preparing to deal with looming labour shortages. For many Calgary business owners, that must seem like a lifetime ago. On Tuesday, Legge announced he will step down from the high-profile role as head of the 126-year-old organization, taking on a new position within the University of Calgary’s Haskayne School of Business, becoming the first director of the Global Business Futures Initiative. During his seven-year run leading the chamber, the organization rebranded and modernized itself, changed its membership model, sold off its downtown building and hosted a number of high-profile events. “In 2010 when I started, it was an organization that needed some modernizing and had largely been the chamber of many, many decades past,” he said Tuesday in an interview. At times, Legge was an outspoken critic of government actions; at other moments, he gently pushed for policy changes and advocated for local businesses. Chamber chairman David Allen said the changes Legge championed created “a total transformation” within the business lobby group. He led the chamber as it embraced a new strategic direction and re-energized its membership base, and put on successful events like the Small Business Week, which is the largest of its kind in the country. 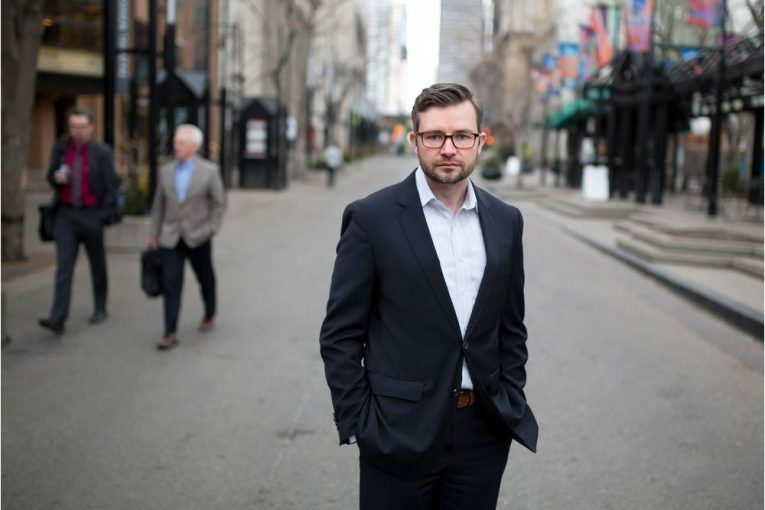 Legge was just 34 when he took over the job and became the chamber’s youngest-ever president, which came after a stint as vice-president and chief economist with Calgary Economic Development. Since then, he has been on the front lines during several seminal business events in Calgary, including the 2013 floods that shut down part of the downtown and the sharp drop in energy prices in 2014, to the brutal downturn and subsequent layoffs that hammered the city since 2015. He’s also witnessed the growing skepticism that the public — across the country and the world — harbour toward businesses and other leading institutions. He points to a recent Edelman Trust Barometer survey as one example of the distrust facing entrepreneurs and CEOs today, which has manifested itself in areas such as energy pipeline disputes and the furor over genetically modified foods. In Canada, the survey conducted earlier this year found fewer than half of people questioned say they trust key institutions: businesses, non-governmental organizations, the media and governments. More than half believe the pace of change in business is moving too fast, while 48 per cent worry that globalization is taking Canada in the wrong direction. Only one in four Canadians say they trust CEOs, an all-time low number and down 12 percentage points from the previous year. In Legge’s new job, he’ll have a chance to try to address these perceptions. The Global Business Futures Initiative, started after the school received a $1-million anonymous donation, will examine the role businesses play in social and economic issues stemming from massive disruptive changes sweeping through society today. These include urbanization, new technology and demographic shifts. “What we’re seeing is a public that has grown increasing wary of what they see to be corporate spinning, whether they’re getting the truth,” he said. ”The reality is we’ve had many scenarios where companies have not done very good jobs and they’ve really reinforced that public image. Jim Dewald, dean of the Haskayne School of Business, said the university recruited Legge to lead the new initiative and he will help define where it will go next. “There is so much change coming about in terms of looking at artificial intelligence, machine learning, robotics … what does it mean for employment, what does that mean for so many different systems?” Dewald said. Legge wraps up at the chamber at the end of the year. Allen said they hope to have a new CEO in place by early next year.